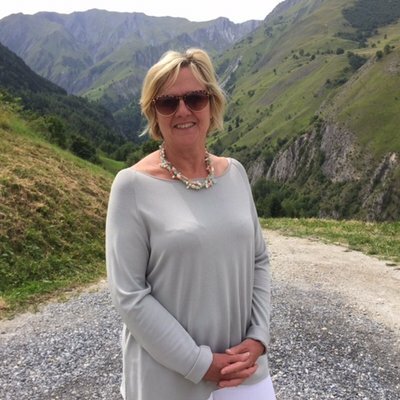 We are delighted to announce that travel professional Philippa Harris has agreed to become our new chair of trustees. She will take over from travel journalist and broadcaster Alison Rice who has held the post since 2012. Philippa brings with her a wealth of experience from the travel sector. During her career she has held senior roles at First Choice Holidays, Sovereign Luxury Holidays, Harlequin Worldwide Travel, Eurotunnel and most recently Take One Media part of Menzies Distribution. 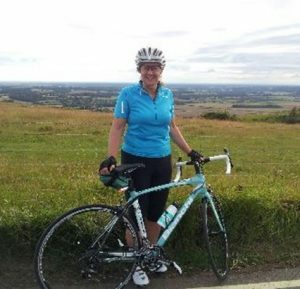 To help mark her appointment, Philippa is taking on a mammoth cycling challenge – riding the length of the Rhine from its source in Switzerland to the North Sea at the Hook of Holland – to raise money for the charity. “I agreed to the challenge before I had worked out how far it was. Now I have looked in more detail it seems I will be cycling a total of 920 miles! 50-60 miles a day – it isn’t hilly but this distance every day for 18 days will be a challenge for me!” The adventure starts on Friday 8 June. Anybody wishing to sponsor Philippa can do via her fundraising page. Stepping down from the Board of Trustees is Alison Rice. Alison first got involved with the charity over 30 years ago and has served as an ambassador, trustee and chair.